This new grow light is sure to help your plants become the best they can be! This are sure to help keep your plants happy and healthy AND help increase your harvest yield. Grow lights can mimic sunlight and this Miracle-Gro grow bulb does that and more! Sometimes the sun can be too bright or too hot and harm your plants, with grow lights like these you can control the amount of light your plants get and give them exactly what they want. This is a generic product designed and engineered in the United States by Think Crucial. This is not a Miracle-Gro OEM product and is not covered under any Miracle-Gro manufacturer's warranty. The Miracle-Gro brand names and logos are the registered trademarks of their respective owners. Any use of the Miracle-Gro brand name or model designation for this product is made solely for purposes of demonstrating compatibility. 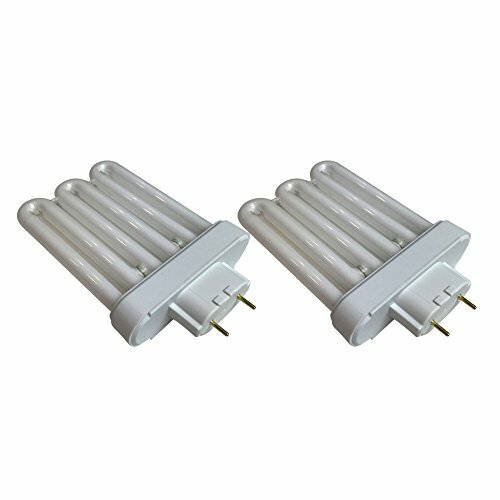 STRONG FLUORESCENT GROW LIGHT that can replace any AeroGarden Extra, AeroGarden Extra Elite, AeroGarden PRO200, AeroGarden 6 Elite+, AeroGarden Deluxe, Deluxe Upgrade Kit & Veggie Pro A bulb. Note: Does not fit Miracle-Gro AeroGarden Ultra or New Miracle-Gro AeroGarden Extra. EASY TO INSTALL because it fits like a dream! You can simply compare this to part # 100633 which is approximately 7 x 4 x 5 inches and will have no problem fitting. FASTER GERMINATION AND HIGHER YIELDS that may help your plants grow faster and healthier. Easily mimic natural sunlight with this fluorescent gardening light bulb. WANT BIGGER STRONGER PLANTS? NO PROBLEM! This long lasting light bulb can get you up to 100,000 hours of light, gives off less heat so it won't hurt your plants and let's not forget the huge energy savings!